Do you want to read the full Mueller report? Attorney General William Barr will release a redacted version of special counsel Robert Mueller's report Thursday morning. Justice Department spokeswoman Kerri Kupec said the report - which looked at possible interference between the Trump campaign and Russia, and potential obstruction of justice by the president - will be released after the DOJ finishes blacking out grand jury testimony, classified information, and material involved in ongoing investigations. Mueller’s report found no criminal conspiracy between the Trump campaign and Russia, but reached no conclusion on whether the president obstructed justice. However, Barr said that he and Deputy Attorney General Rod Rosenstein determined there was insufficient evidence that Trump obstructed justice. 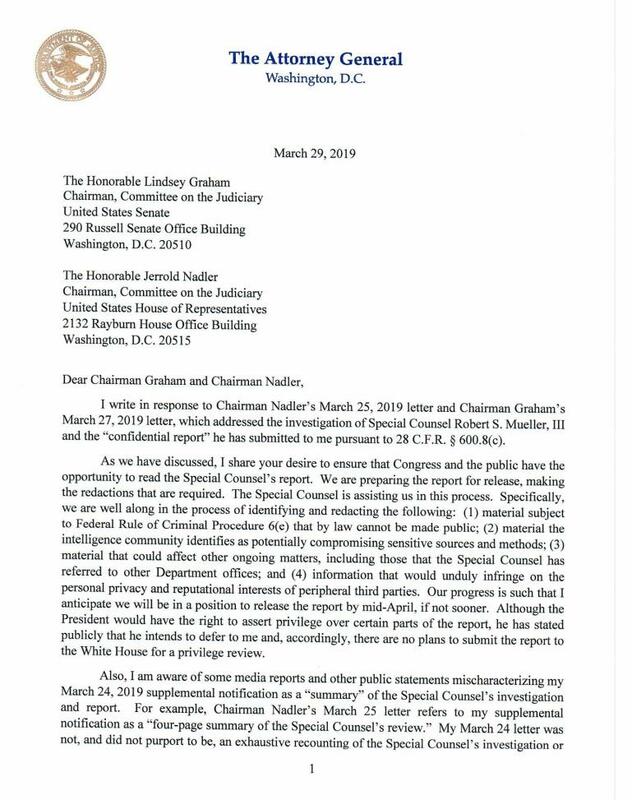 The Justice Department plans to release special counsel Robert Mueller's report to Congress and the public by "mid-April, if not sooner." Attorney General Bill Barr said in a letter Friday that his four-page summary on Sunday “was not, and did not purport to be an exhaustive recounting” of Mueller's report on his investigation into Russian interference in the 2016 campaign. “I do not believe it would be in the public’s interest for me to attempt to summarize the full report or release it in serial or piecemeal fashion,” Barr wrote, saying the public should be allowed to judge for themselves. 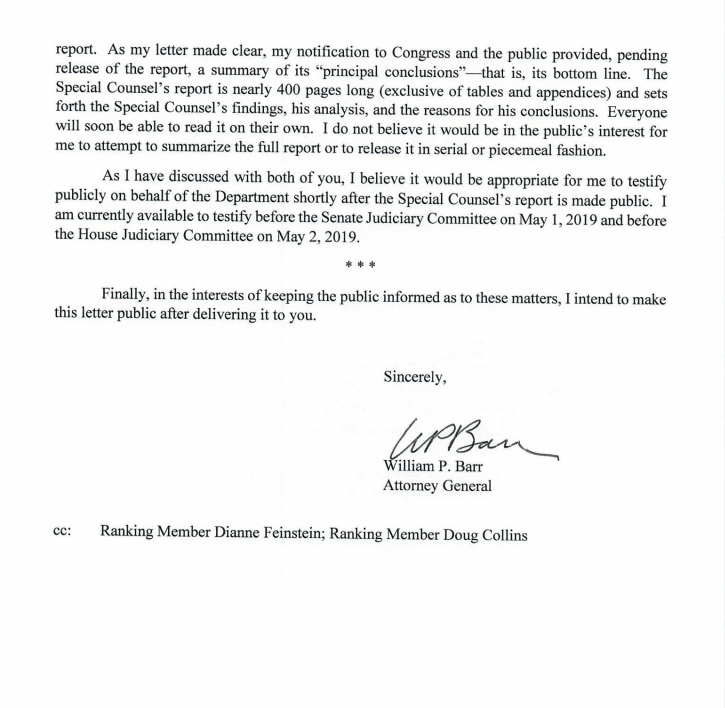 Barr also offered to testify shortly after the report is released: May 1 in the Senate and May 2 in the House.